This contemporary garden gate features colorful acrylic rods. The rods catch rays of sunlight as they pass through the sky. 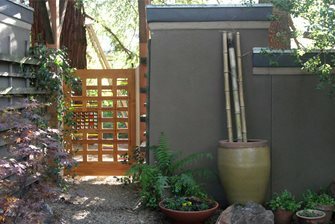 The contemporary lines of the gate enhance this modern garden setting. 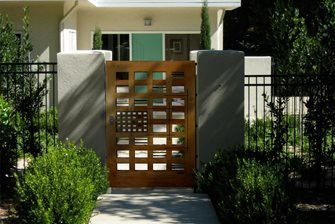 Here the gate serves as the entrance to a postmodern home. 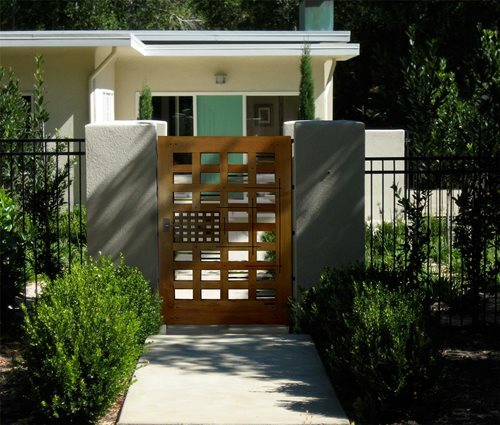 This unique gate, with its grid design, lends itself to the architecture of the 1950's. 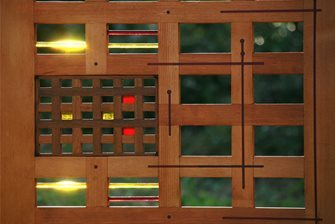 Perfect for a post-modern setting, the gate from Charles Prowell Woodworks, is all about intersecting forms and the abrupt introduction of whimsy. 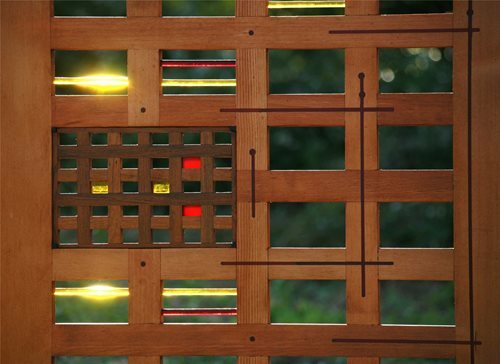 Wood, tinted epoxy, acrylic rods and a teak grid combine to form a gate that has a truly captivating form. A series of 1/2" diameter solid acrylic rods form a colorful geometric grid that narrows at the latch. With the movement of the rising and setting sun, bright light is diffused through the rods creating a constantly changing effect. 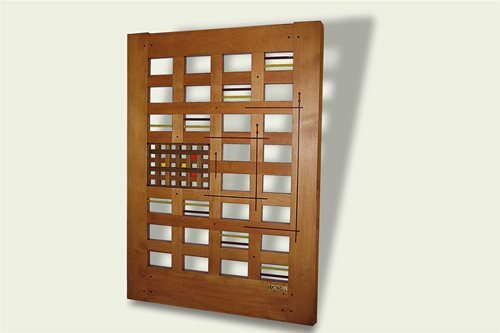 The gate is designed for a pedestrian entry and can be ordered in sizes up to 48 inches in width and 6 feet in height. 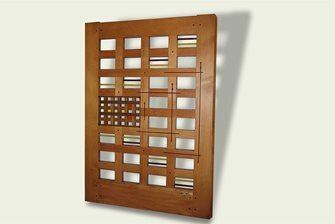 Each gate made by Charles Prowell Woodworks is handcrafted by highly trained craftsman and artists and can be shipped across the country.